Hucks & Associates, a family owned business for the past 36 years, began as Bradford M. Hucks and Son in 1972. Hucks & Associates, PC was chartered as a South Carolina Corporation in 1982. 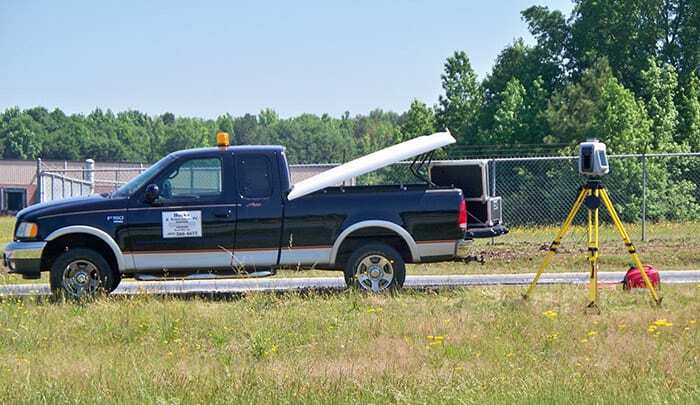 Although we do business primarily in the Rock Hill-Charlotte area, our land surveyors have completed projects throughout South Carolina and North Carolina. Hucks & Associates’ involvement in the land development industry has required providing boundary surveys, as-built surveys, construction layout, and topographical surveys. Private sector projects include subdivisions, multi-family, commercial, and industrial, while public sector projects include airport and highway surveys. Hucks & Associates has an extensive, qualified background in the land surveying profession that’s built upon over 36 years of experience. Principals in the company have a combined experience of over 116 years.